Hi merry goers! It's been such a hectic week and I am so behind on my posts. Today I would really like to share with all of you my experience dining at a unique place in Publika which is both a fashion outlet as well as a restaurant. Caught your interest yet? 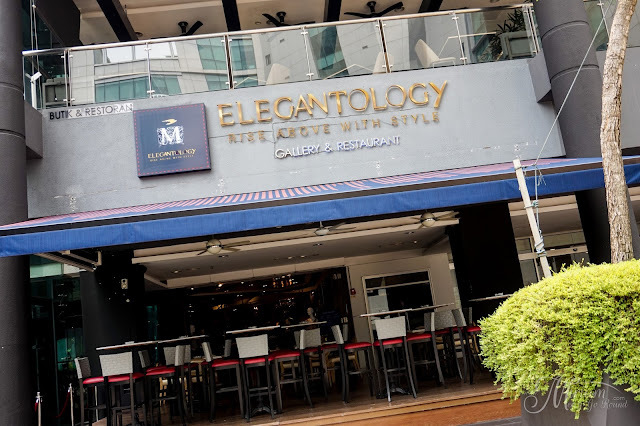 Elegantology Gallery & Restaurant (EGR) has a unique concept of infusing fashion with their food which is why it attracted my attention when I passed by this outlet in Publika. 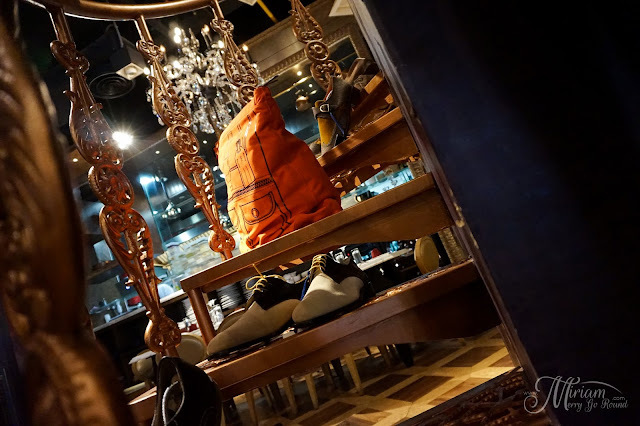 I remember passing by this outlet when I was out with Tara a few weeks back and I was so curious and intrigued with this outlet. 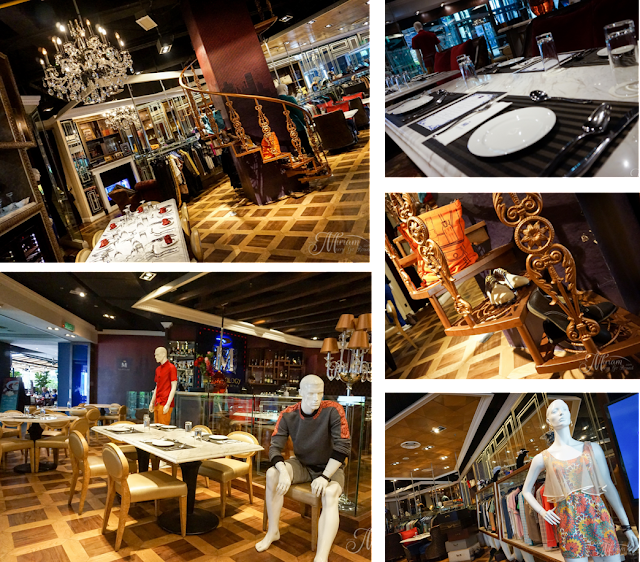 The reason being I see racks of clothing with mannequins but seated in the center of the premise are dining tables. I could not help wondering if it was a boutique or a restaurant. 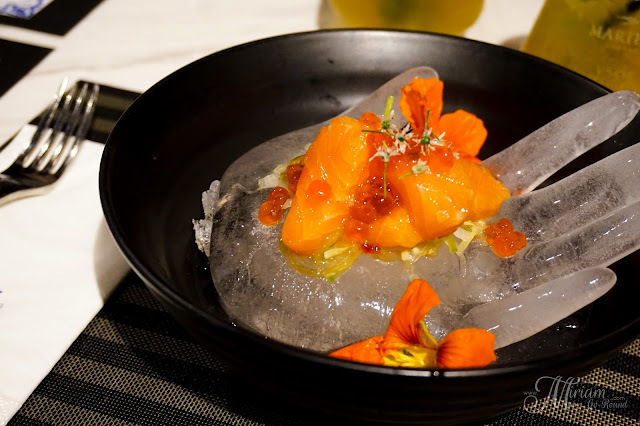 To my delight, a few days later I was invited to try the unique creations of Chef Jes Chew, a new young Malaysian talent who had spent his time overseas carving a name for himself in the international culinary scene. From the start of his journey at Dubai with world class Chinese restaurant, Zheng He Restaurant in Madinat Jumeirah Resorts to a 7-star hotel, the Burj Al Arab Hotel with the Junsui Restaurant, this talented young man has been awarded the title of Best Gastronomist (Chef of the Year) and recognized for his talents in the Modern Chinese dining scene for 3 consecutive years. The concept behind EGR is to Rise Above with Style where they have been on the lookout for rising talents in both the fashion and gastronomy fields to be a springboard and help this talents find their footing in the world of haute couture and culinary arts. Be prepared to see some creative dishes which Chef Jes Chew has in store where he has customized a menu inspired by local taste and infused with his culinary skills. Bang Bang Chicken definitely got our interest piqued with its name at the first glanced. 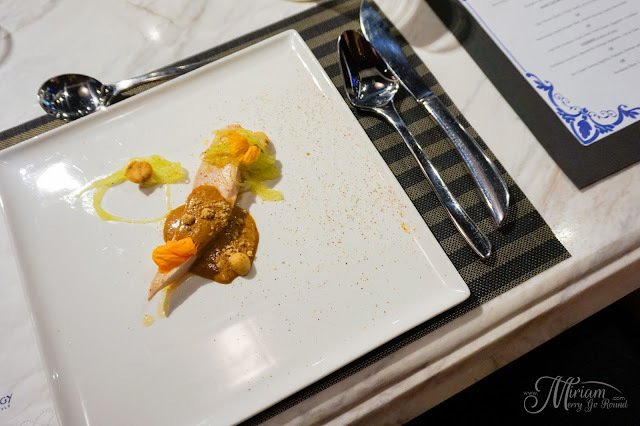 This appetizer consists of a 65°C Sous Vide Ayam Kampung Breast, Macadamia Szechuanese Peanut Butter, Kacang Tumbuk. Even if we were to overlook that gorgeous plating, being able to serve up a moist chicken breast is a feat itself since chicken breast is not the easiest meat to cook. The szechuanese peanut sauce was creamy with a kick of pepper which definitely is a plus point for someone who loves the heat like me. This combination was definitely paired well and well received by everyone at the table. 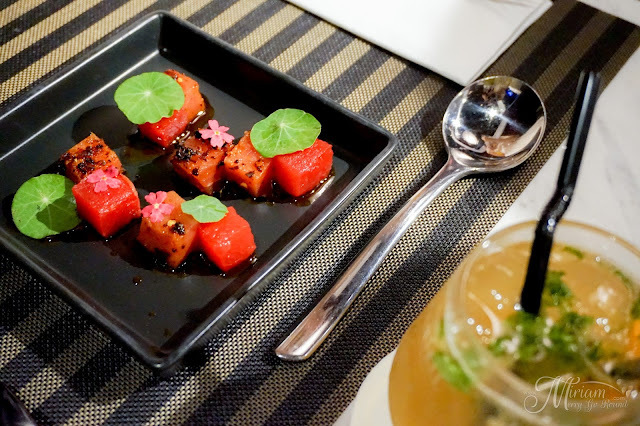 Next up we have the Spicy Tuna, Compressed Watermelon with Pickled Chili Crisp which blew our minds with the presentation once it landed at our table. The contrast of colors itself was gorgeous and we could not help ourselves but to take numerous shots of this dish. The sweet compressed watermelon gave a burst of fresh, juicy sweetness which really paired wonderfully with the tuna. The tuna itself was fresh and tasted so smooth on the palate. 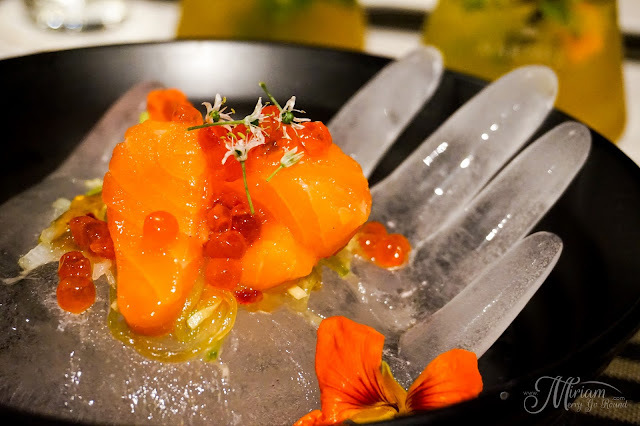 But I must say that the Charcoal Smoked Salmon, Soy Ikura & Pickled Melon Salad was the one that made everyone's jaw dropped. The presentation itself was something out of this world as you are served with thick juicy fresh charcoal smoked salmon seated on top of a ice hand sculpture. I personally chose this dish because you just cannot separate me and salmon especially smoked salmon and oh boy I was definitely not disappointed with it. The salmon was smoked beautifully where you get that whiff of smokiness at the first bite plus the contrast of the pickled melon salad just make you want to dig in for more. Hands down, the winning appetizer dish of the day. Pairing all these great appetizers is the Havana Rambutan Mojito which has rambutan muddle with mint leaves, orange quarters, lychee juice and caramel. Let me warn you ahead that this drink is definitely not as light as you would expect. With the appetizers being such a great start, this meal continued with the Pumpkin Truffle Soup which definitely did not disappoint. Using superior chicken stock, pumpkin disk, crabmeat, enoki mushroom and white truffle oil, this soup was so rich in flavor and aroma that every last drop was licked off the plate! 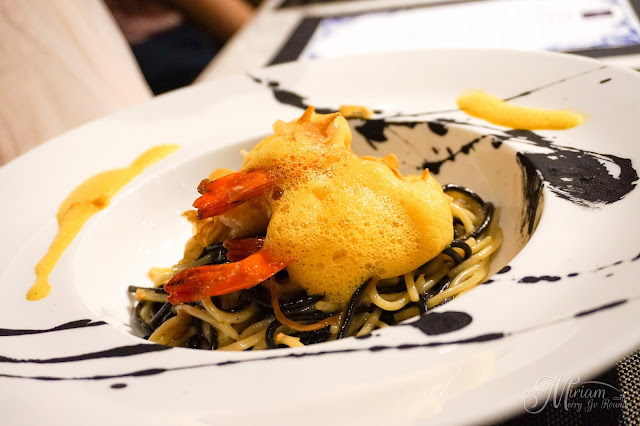 Proceeding on to the mains, the Tiger Prawn Pasta was a delight. With Duo Pasta, Cuttlefish X.O., Grilled Tiger Prawns, topped with Prawn Head Foam and Crispy Garlic, this pasta instantly hits you with the rich prawn head foam and the sweet juices from the prawns. 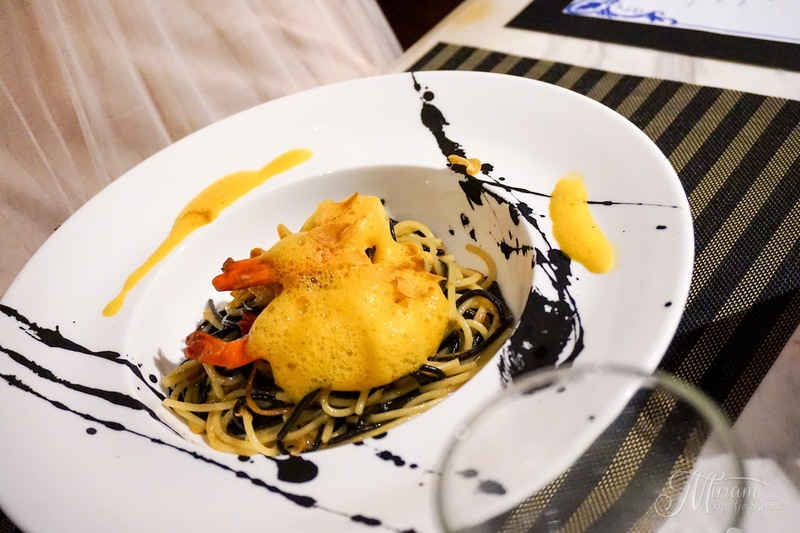 Pasta cooked al-dente, there is a slight spicy kick to the dish that really give it that additional star factor. 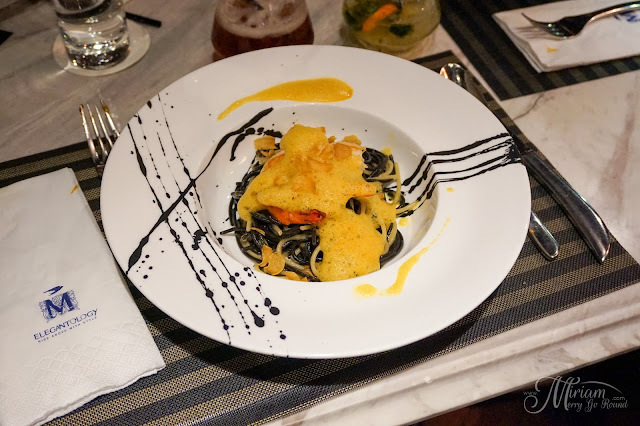 I must say this was definitely one of the good pasta dishes I've had. Just like how you cannot separate me with salmon, those who know me well will know that I love my meat so I jumped at ordering the Sarawakian Black Pepper Beef. 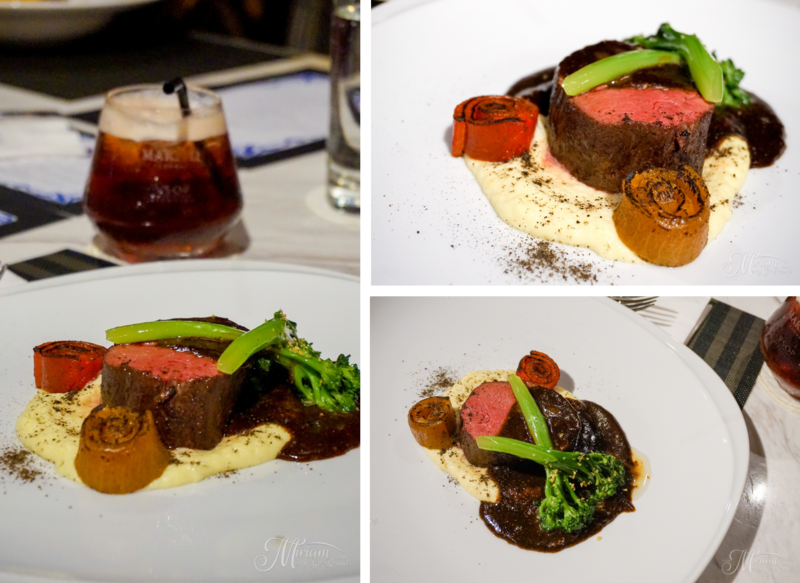 This dish had a 57°C Sous Vide Grainfed Tenderloin, Parsnip Mash, Grilled Red Pepper and Garlic Broccolini. This tenderloin was just so divine! Seriously the beef was so tender and juicy that it just melts in my mouth. I love how aromatic the sarawakian black pepper was that it just paired amazingly with the beef. Just thinking about that beef is making me salivate right now. 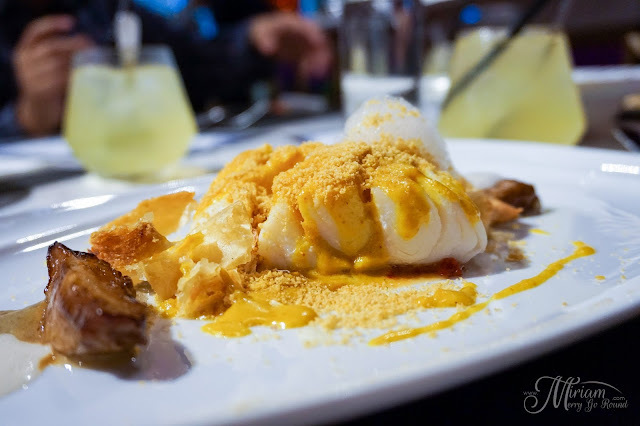 The third main dish selection is the Curry Cod Gindara Fillet that took me nearly the longest to shoot. Not only is it aesthetically stunning, the ingredients to this dish was certainly very innovative. 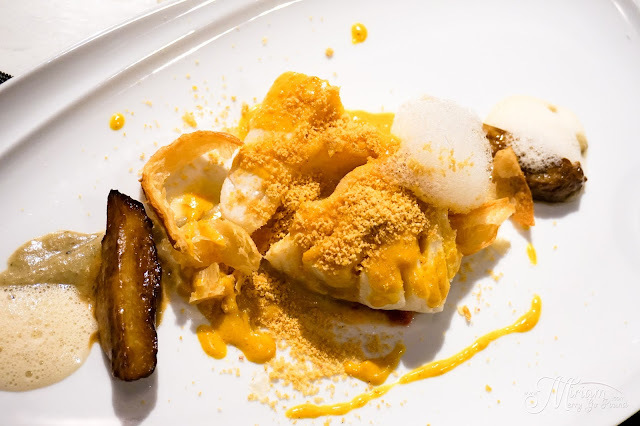 You have Cod Fish with Otak-Otak Cream, Curry Leaf Emulsion, Eggplant Puree, Edible Fish Bone, Spicy Oatmeal and Croissant. This dish is an art on its own and certainly an innovative dish. 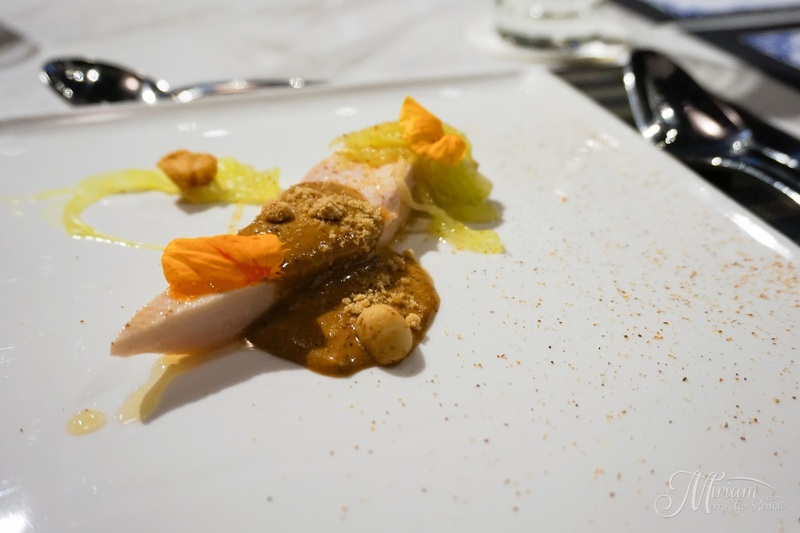 The curry leaf emulsion was aromatic and very flavorful although it was a little overbearing for the cod fish. However if you have heavy tastebuds, you would enjoy this dish especially with the otak-otak cream at the base of the dish. 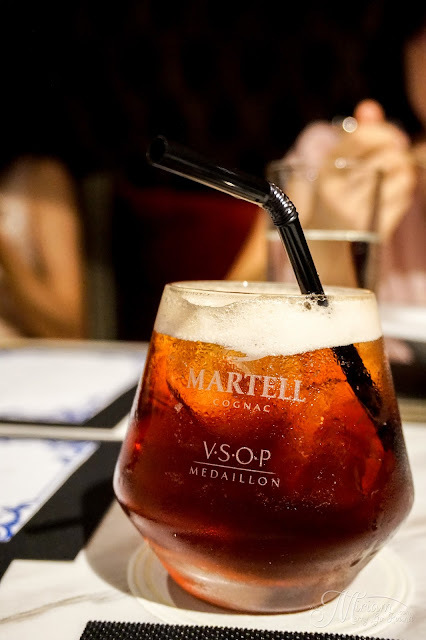 The mains were paired with the Martell Cane where you have the Martell VSOP shaken with sugarcane juice, triple sec and Ribena. 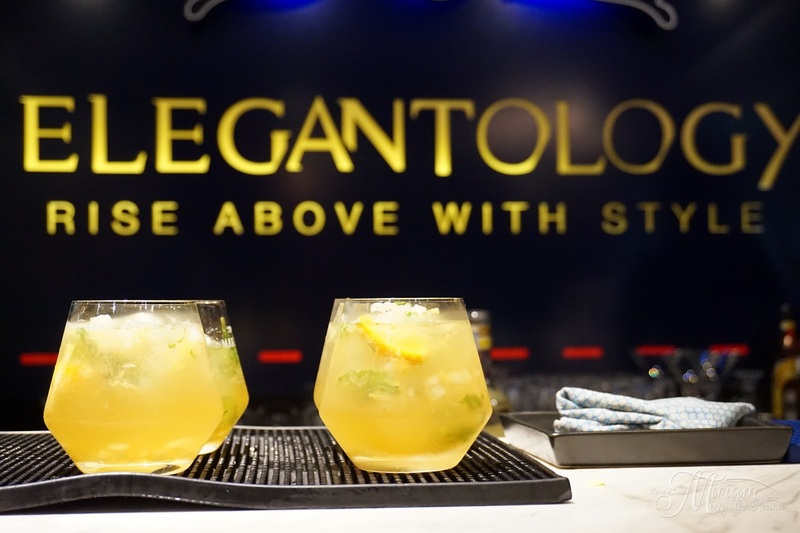 This cocktail was definitely on the heavier side so do sip with caution. Nothing can end a meal better than some good desserts and this is exactly what Chef Jes Chew offered with the Varlhona Milo Ganache. 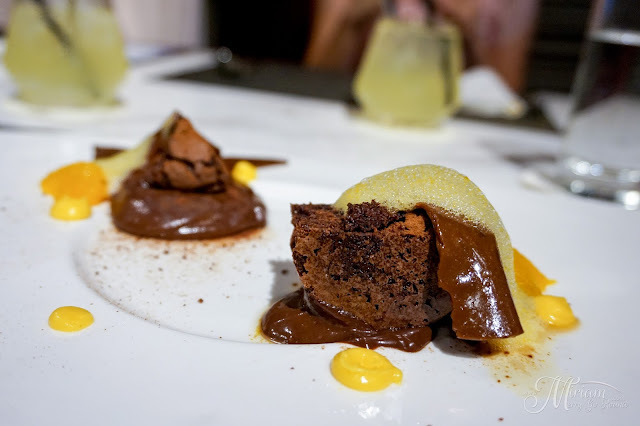 This chocolate dessert came with Mandarin Orange segments, Orange Marmalade Custard, Milo Veil and Choki Choki Syrup. 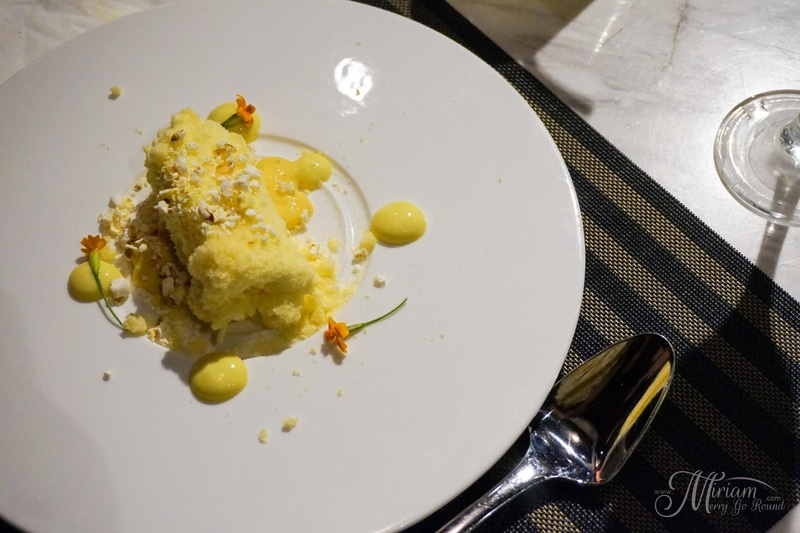 It was definitely an interesting twist using Milo and had several different components in them to make it an unique dessert. 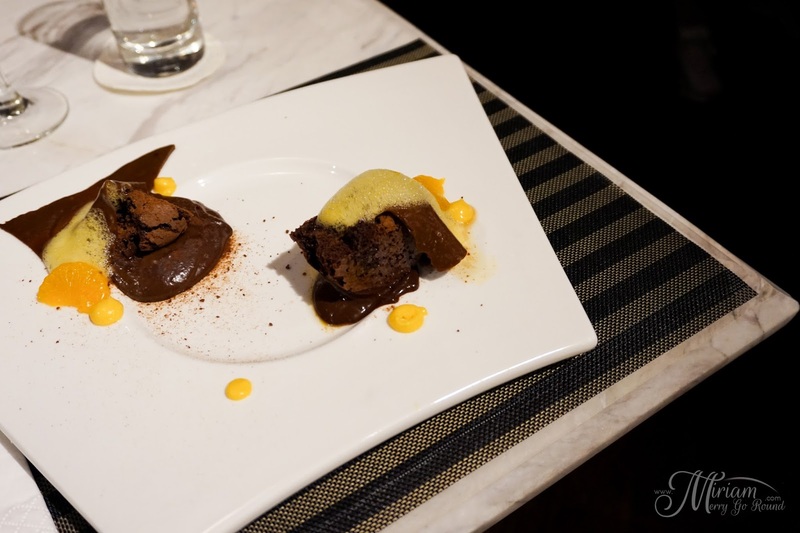 Although it was a bit too large a portion for me and slightly on the sweeter side, this dessert would satisfy chocolate fans. Meanwhile the Sirap Bandung sure captivated many of us especially the girls with the gorgeous plating. 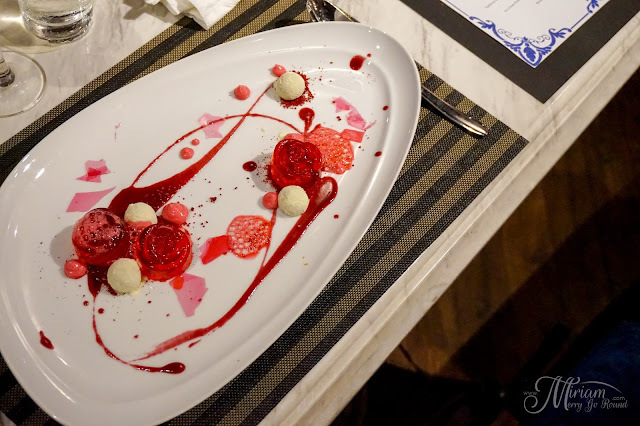 This dessert is a deconstructed sirap bandung where Chef Jes Chew used Rose Jelly, Roselle Jam, Bandung Crema, Rose Veil and Dried Red Velvet Cake to make this piece of food art. Eating each component together brings about the Sirap Bandung and I must say is a really nice twist to the popular Malaysian drink. 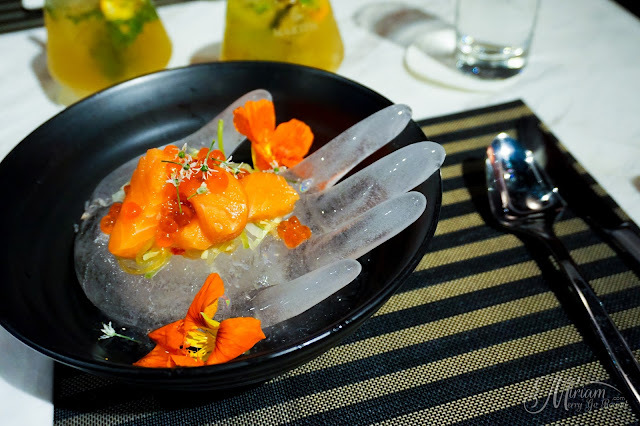 Last but not least, the Ice Cream Potong does not fail to impress us with the plating and the combinations of ice cream potong. 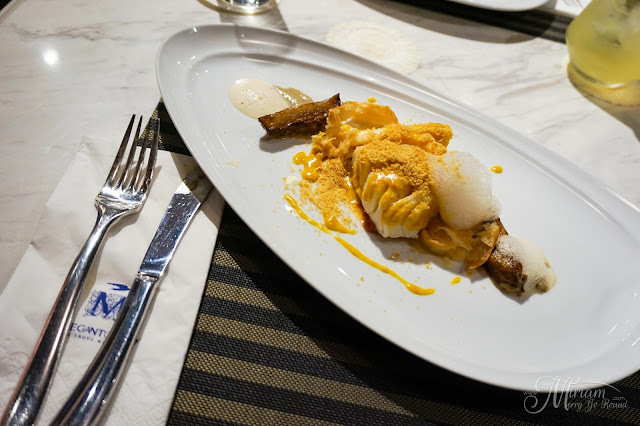 With Durian Keropok Durian, Raja Kunyit Durian Custard, Salted Corn Cream and Popcorn, this modern twist to the childhood ice cream potong delighted all of us. 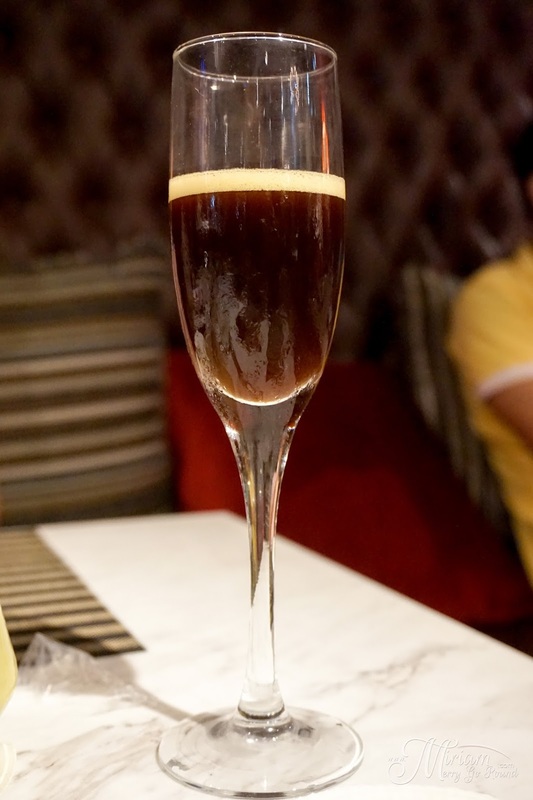 The desserts are paired with the Martell Toffee where you have the Martel VSOP, Kahlua, Cointreau, Caramel Syrup and freshly brewed coffee, shaken and strained. 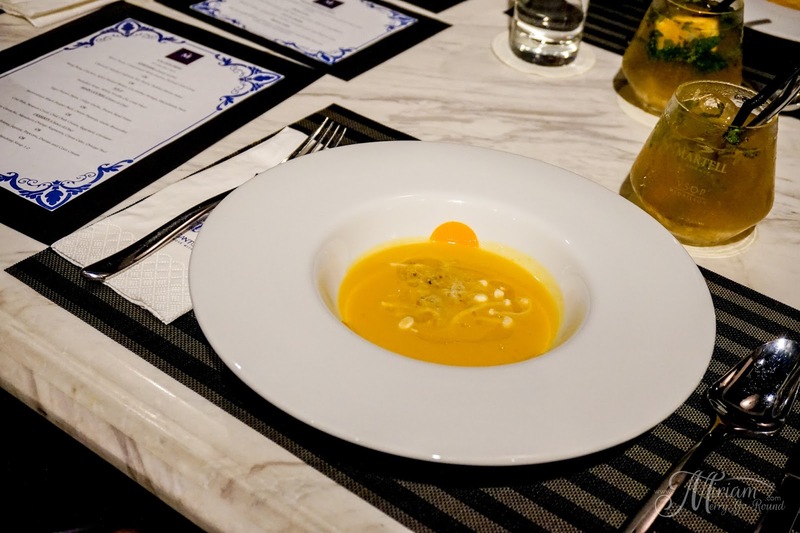 It was definitely an amazing experience tasting all the amazing innovative and creative creations of Chef Jes Chew and you surely wouldn't want to miss the chance to taste them too. 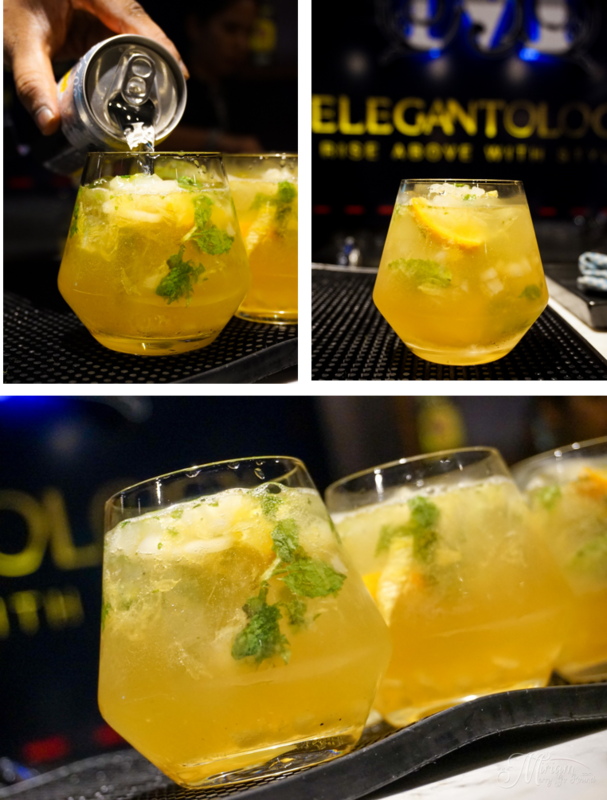 This specially created 3-course menu will be available at Elegantology for a limited time at RM150++/pax and I assure you that it is worth every penny.